…get Ezdenia leveled to 85 and have her professions at max. She has 4 levels til 85. Her Tailoring is finally up to Embersilk thanks to all the cloth Calizari sent during her leveling and grinding of Heroics. Other than that, I think that is all I have left to do. Oh and get them both their Epic flying speeds. Not sure if I will wait until after Mists for that or if I will do it this week or not. If I remember right, we won’t be able to fly in the new zones anyway…so it isn’t like I will be missing out. Which reminds me, I hate leveling Tailoring through Frostweave! It takes forever! I swear I could hear her grumbling under her breath. She just needs to get maxxed asap so she can make the Illusionary Bags and she and Calizari will be happy for a little while. Calizari has been doing her JC and Cooking dailies, with a Fishing daily thrown in there every so often. So she finally hit Revered with her guild. Woot! She really needs to hit the random grind again for a few days tho. The extra gold, cloth and disenchantables that she can send to Ezdenia will come in handy. She won’t be doing it for nothing….she is expecting to get some nice big bags out of it! I have been reading as much as I can on the WoW forums…US and EU, because there is so much good info on both. And, because I never go by just one opinion. 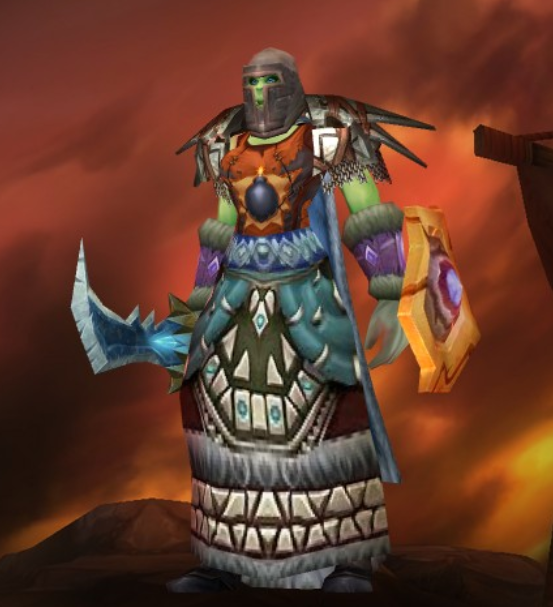 I formed my own opinion early on but have waited to see what the well known Resto Shaman bloggers theorycrafting came up with. I was relieved to see that I was on the right path. Now to wait and see if any numbers change when Mists goes live. After doing two of the Theramore Scenario’s…I am not impressed. And definitely not impressed that it is just one more grind that I would have to do for a piece of gear I need/want. Then I tortured myself even more and ran one last LFR and got NADA again…200 gold…not worth the time really. I can make more in less time elsewhere. And this time I even tried to stay in the middle of the healing meters in hopes that being lower would help me get something…even one little piece, but no such luck. I hope the next LFR I do is better than this…maybe I need some Feng Shui going on in-game or something. Either way, new content is looking better and better every day. I am still working on the Mysterious Eggs from the Oracles…Tickbird Hatchlings are piling up in my bank. I did get the Proto Drake Whelp today, so at least I got something out of the day. I started Ezdenia on the rep grind as well…she is half way through Honored and will start her grind of Mysterious Eggs this week. With two working on it I will have a better chance right? Well, if one of them were to get it, it would probably be Ezdenia anway…she has much better luck when it comes to rolls and gears drops, and just about everything else. And soemthing I have been thinking about doing…Twitter. Not the tweeting so much as the following of others. So maybe it’s time I get a Twitter account and start following Wow news that way. I know, I am late on the technology thing, but better late than never right? Its just that I have a couple people I would like to follow better going into Mists. Which means I won’t go to sleep tonight until I get that all figured out. I better get on it now, I have an MRI first thing in the morning to do. If I put it off until before I leave for that, I won’t get it done. Last night I finally managed to get her to 70. She finally has Riptide and played with that a little in a couple Utgarde Keep runs. Of course today they are doing maintenance, so while I wait I will be reading forums and watching vids on Resto Shaman POV for MoP most likely. She is fun to play, and is always busy doing something. While waiting on Outland queues I started working on her Explorer title and have Durotar and Northern Barrens so far. It’s not much, but it’s a start. I also got her First Aid going finally. The biggest thing I need to get busy working on is her Jewelcrafting. I think once she has that maxxed, I will drop Mining and put her to work on Alchemy. She is going to need both once they change over to the new talents and change in mana regen. She will probably be needing as many Mana Pots as she can get on the way from 80 to 90. I am actually looking forward to the new changes. Now is the time to be learning while there is still time to play through dungeons to get the hang of it. Practice, practice, practice. This is why I love randoms…a mix of easy going groups that are on the verge of boring and other groups that require me to be on the ball at all times to keep the group alive. I am enjoying Resto shaman and can’t believe I never got past the whole ‘totems’ thing. Yup, you heard me right…I never played Shaman before because I did not like the idea of having to mess with managing so many Totems. And now that they will be changing them soon, I think regardless of those changes, it won’t make me stop playing this class. She is fun! I read more and more about how Resto Shamans aren’t doing as well in MoP Beta as the other healers…and of course that Holy Pallys are just through the roof again. No surprise there. Trivenna will get leveled sooner or later…probably later tho. I ordered my Digital Standard edition this morning before leaving for an appointment. So I am ready to go. I think. I have to get Calizari and Ezdenia leveled up and make my final choice on a new Main. Professions also need to be leveled up as they will help make gold and lessen my gold output to gem, enchant, flask these two gals as well. All I need is to get Shortbookie leveled for her Inscription benefits and I should be ok. Starting over on a new server is never easy and road blocks don’t help either but I am getting there. I am going to plow ahead on Calizari first this time since I jumped to 60 first on Ezdenia…hopefully I will see a difference in which one I prefer to play the most. So far if there is any difference, it isn’t enough that it’s obvious yet. So until I am sure, I don’t want to chose yet. 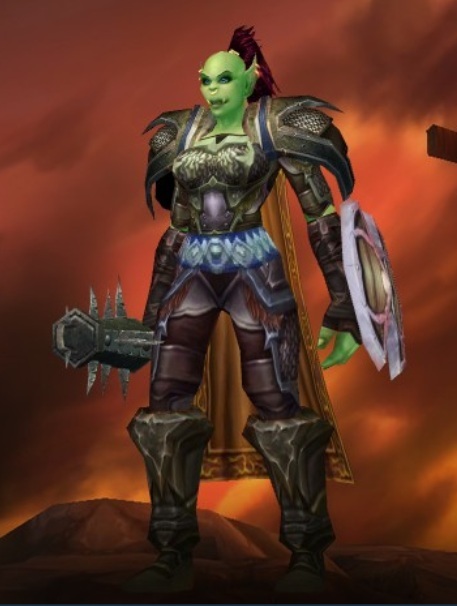 She is a Goblin of course and a Death Knight. She insists on being in charge of all gold, profession materials and anything else of value. I will be grooming her in Blood spec so eventually she can farm old dungeons and what not for extra gold. Something to help her vent any frustrations or indulge any gold cravings she may have. Either way she will be plenty busy keeping track of gold and inventory and such. My little Bank Bookie….such a Penny Pincher too! She will begin work on Inscription and Herbalism soon so she can supply everyone with necessary Glyphs and make some gold while she is at it. She likes the gold part the most. But by helping the others, they can save gold, which means they will have more to send to her for safekeeping. At least that is her thoughts on the whole thing.